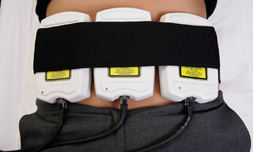 i-lipo Ultra is the most advanced, clinically proven, non-surgical fat reduction and body shaping system. 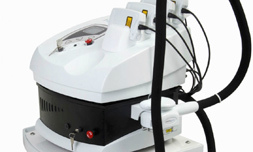 The i-lipo Ultra incorporates vacuum massage and infra-red skin tightening to target the most stubborn fatty deposits. The suction action helps with the removal of released fat cell contents and optimises absorption of infra-red laser in the dermis to promote collagen growth and enhance blood circulation in the area. The result is a slimmer, tighter and smoother looking skin. i-lipo DOES NOT PUT PRESSURE ON YOUR LIVER OR KIDNEYS, it simply transports the released fat around your lymphatic system where you’ll release the content through your urine, it’s not transported to your liver where it’ll decay.